A cocktail (or 10) can definitely help all of the political + other uncomfortable conversations at the Thanksgiving dinner table! 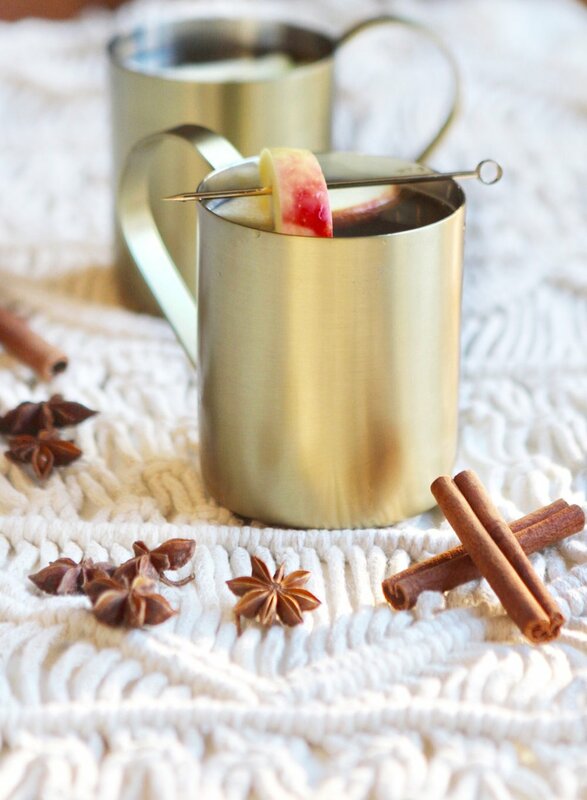 This apple cider Moscow Mule is delicious and ridiculously simple! I feel like a Moscow Mule mug makes everything look fancy and impressive. Just watch out because these are crazy delicious and hardly taste like alcohol! Combine the vodka, apple cider, lime juice and ginger beer. Sprinkle a tiny bit of cinnamon on top. Garnish with an apple slice and/or a cinnamon stick if you'd like!